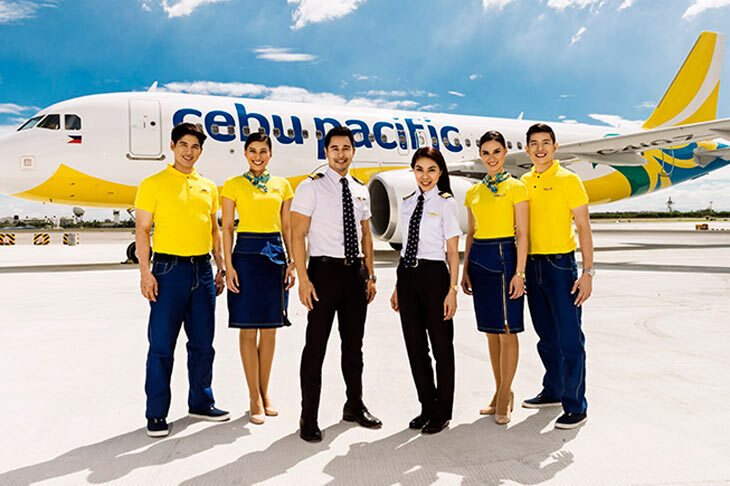 Aviation Updates Philippines - Budget airline Cebu Pacific Air is hiring 300 cabin crew as it expands its domestic and international operations. The newly hired cabin crew will be joining the airline's growing family of nearly 4,000. The budget airline will hold recruitment fairs in Manila (Cebu Pacific Building, Pasay City) on January 14; Dumaguete City (La Residencia Almar Hotel, Rizal Blvd., Dumaguete City, Negros Oriental) on January 28; and Tagbilaran City (Metro Centre Hotel and Convention Center, C.P. Garcia Ave., Tagbilaran City, Bohol) on January 29. According to the airline, the aspiring cabin crew members should have a "dynamic personality," must be at least 5'3" for women and 5'7" for men, have clear complexion, a "catchy smile" and "weight that is proportional to height." Cebu Pacific will process the applications on the same day, between 9:00 A.M. and 3:00 P.M. Acceptance of updated curriculum vitae (CV) with 2x2 photo will be until 1:00 P.M. only. More opportunities will be open for Filipinos as the airline will organize more recruitment fairs throughout 2017. “Last year’s recruitment fair in Manila alone was visited by about 1,000 aspiring Juans. This year, we aim to make the fair even bigger by reaching out to more areas in the Philippines. We encourage everyone to take on the challenge to be part of the Philippines’ leading airline and contribute to bringing people together through safe, affordable, reliable and fun-filled air travel,” said Atty. JR Mantaring, CEB Vice President for Corporate Affairs. Cebu Pacific flies to 38 domestic and 30 international destinations, operating an extensive network across Asia, Australia, the Middle East, and the United States. The airline currently has 58 aircraft in its fleet; a combination of Airbus and ATR aircraft manufactured in France. It operates one of the youngest fleets in Asia.